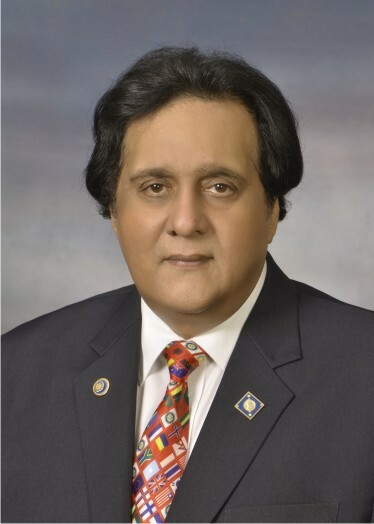 Our District Governor for this year in Pakistan (D3272) is DG Mir Arif Ali. "Greetings from District 3272 Pakistan. 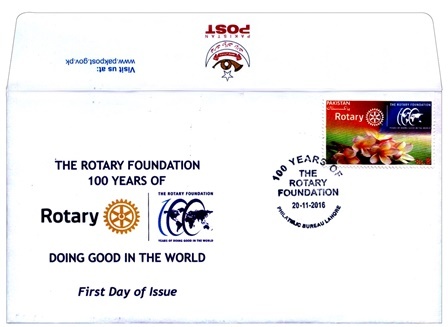 This commemorative Postage Stamp was issued by the Pakistan Postal Services as a tribute to celebrate and recognize the services rendered by The Rotary Foundation to humanity at large for the last 100 years. This indeed is a milestone and an unprecedented honour for the Rotary Foundation which ... has received "SOVEREIGN RECOGNITION" from a country no less than the Islamic Republic of Pakistan. This Commemorative Stamp has the huge potential for Building the Public Image of Rotary International and The Rotary Foundation as it travels across the world showcasing ROTARY SERVING HUMANITY." 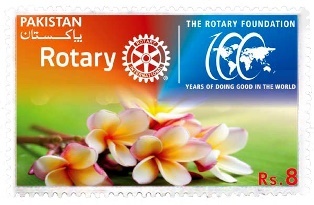 The stamp design is by a Rotarian of the Rotary Club of Lahore Model Town. And the designer is Rtn Mahru Arif Ali, who also happens to be Mir's wife!